The re-election of Benyamin Netanyahu as Israeli Prime Minister and the construction of a new Israeli coalition government now requires urgent action by the EU to construct a coherent and effective policy on the question of Palestine. The European Eminent Persons Group on Middle East issues (EEPG) presents the following commentary and recommendations on what that policy should be. As our statement of April 2014 made clear, we have for some time regarded the Oslo-Madrid process as effectively defunct. The opportunities it presented through its focus on the centre ground in the substance for a settlement were suffocated by mutual distrust, by Palestinian disunity and by Israel’s lack of interest in an outcome of this kind, as evidenced by large-scale settlement expansion. Mr Netanyahu expressed various views on Palestine in and around the recent election campaign, most of them cold to the concept of an independent Palestinian state. We are convinced in our own minds that he has little intention of negotiating seriously for a two-state solution within the term of this incoming Israeli government. We also have low confidence that the US Government will be in a position to take a lead on fresh negotiations with the vigour and the impartiality that a two-state outcome demands. Yet the situation on the ground grows steadily more dangerous. It has received less priority attention recently than certain other parts of a very disturbed region, but conditions in the Occupied Territories remain high on the list of the world’s worst crises in terms not just of political flammability, but also of the denial of international justice, human rights and humanitarian standards. Israel’s long-term security, which we value highly, is severely compromised by the current trend of events, as its international reputation. The continued illegal expansion of settlements in area and population will only reinforce this trend. The EEPG remains committed to the concept of a two-state solution. We see no better alternative to the probability otherwise of the establishment of either a non-Jewish democracy or a Jewish non-democracy within the territories in question, neither of which would be a stable arrangement. It is time for the European Council of Ministers to construct a policy on Israel-Palestine that both reflects the nature of the threat to European interests of a totally collapsed peace process and meets the EU’s responsibility to take a comprehensive, independent and effective position on this primary foreign and security policy issue. It has been a serious flaw in previous attempts at negotiations for a comprehensive settlement that the Israeli and Palestinian parties have been so unequal in international status. This was never addressed with any objectivity by American negotiating teams. Some difference in status has to be acknowledged as inevitable, given the circumstances of the Occupation, but it was always the responsibility of those promoting negotiations to protect the integrity of the process by ensuring the equivalence of the historical rights of both peoples under international law and UN principles. International awareness of this has led to recognition of Palestine moving up the international agenda. This was given impetus during the course of 2014 by Arab-sponsored activity in the UN General Assembly and then by Sweden’s decision, supported by a number of other European parliaments, in favour of recognition. Further progress for the concept of recognition has been compromised as much by the Palestinians’ own failure to reconcile their internal differences as by Israeli opposition. We maintain our view that the current financial and political assistance given by Europe and America to the Palestinian Authority achieves little more than the preservation of the Israeli occupation of the West Bank and imprisonment of Gaza. The Palestinian Authority’s tenuous grip on the West Bank population’s allegiance has required strong security and other dependence on Israel, funded primarily by Europe and the US. Gaza has shamefully been left to one side. Standards of living and human rights in both territories have sunk shockingly low. It is no longer possible for the EU to allow these conditions to continue without grave risk to its international reputation and to its long-term interest in the stability of its neighbourhood. Hiding behind American leadership on the politics of the dispute is unedifying and unproductive. The apparently more urgent crises in Syria, Iraq, Libya and Yemen are little excuse either, when the scope to stand up for principled action on Israel-Palestine, along lines long established by past UN decisions, is better defined than in those other cases. We seem to forget that the context in Palestine is one of 47 years of military occupation, characterised by grave violations of international law. The EU needs to decide on its priorities. Europe has yet to find an effective way of holding Israel to account for the way it maintains the occupation. It is time now to demonstrate to both parties how seriously European public opinion takes contraventions of international law, the perpetration of atrocities and the denial of established rights. During the course of 2015 it is probable that the status of Palestine will again come before the UN Security Council. EU members of that body should be united in supporting a draft resolution that creates a greater equivalence between Israel and Palestine as political entities in the framework of any new negotiations. If this means recognition of a Palestine government-in-waiting for the territories within the pre-1967 borders, or the setting of a deadline for the negotiation of a two-state solution, the EU should be united in support. As for Palestine’s membership of the International Criminal Court as from 1 April 2015, Europe should engage with the Palestinians on responsible use of the ICC, recognising that its powers will be applicable to Palestinian just as much as to Israeli actions. Indeed, the existence of the ICC could be a primary channel for constraining abuses of human rights and war crimes on both sides in future. 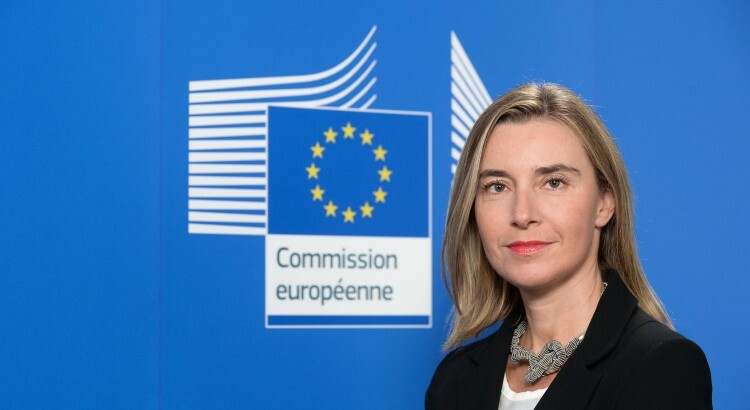 The EU and its Member States have been held back from a more proactive stance on Israel-Palestine by three major considerations: their lack of consensus on the issue, their focus on newer and apparently more urgent Middle East crises and their reluctance to get out in front of the United States in an area where Washington has always insisted on prime ownership. These three drawbacks now need to be addressed directly. The absence of any credible negotiation process, combined with the desperate condition of the Occupied Territories, the eroding international legitimacy of the Israeli approach and the instability of the wider region, requires a fresh examination of EU policy. The fact that American efforts over more than two decades have achieved virtually nothing by way of justice for the Palestinians or long-term security for Israel means that European interests have also suffered. This needs to be recognised in a new formulation of EU policy that puts those interests first and that reflects the expectation of European public opinion increasingly dissatisfied with the status quo. The Arab Peace Initiative, proposed in 2002 but largely ignored since then, could form one pillar of a new EU approach. – increased political and financial support, in addition to the EU’s independent actions, for UN and civil society efforts to address the conditions in the Occupied Territories. The European Eminent Persons Group requests the High Representative and the Council of Ministers to consider these proposals urgently and seriously, with a view to laying out a new policy approach within the course of 2015.